Congratulations Realtor, you’ve won my listing! I loved everything about your presentation, from the analytics you showed me to your proven track record at selling lake homes. In fact, I only had one problem, and it was a big one: your suggested list price was vastly different from what I thought my property was worth. You said we should list at one price, but Zillow told me a different story. Since I got the information from a popular accredited source, I was sure it must have been true. But I am so glad you took the time to explained to me how the site’s home valuation tool worked and for showing me how my lake home broke Zillow’s Zestimate. For starters, I knew the tool used physical attributes — like my home’s square footage and our lot size — to help determine its value. I also knew that public tax information was taken into account. What I didn’t know was that public information and user-submitted data were factored in, too. I thought this information could be helpful, and to your point, it could be. 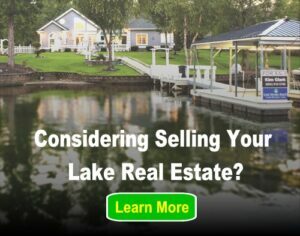 But after discussing how much I thought my home was worth based on my years of living there, you made a great point by suggesting my emotional attachment to my lake home could cause me to draw some biased conclusions about how much it was actually worth. However, I was sure that past sales records of the homes in my neighborhood and nearby “comparable homes” were solid data points. Thank you for taking the time to help me understand how many of these records and tools used by Zillow often don’t apply in niche markets (like lake real estate). The Zestimate was not designed for unique properties and unique markets. One thing that stuck with me is how you said Zillow has never been in my lake home, nor any of the homes mine is being compared to. Zillow couldn’t possibly account for the upgrades we made to the kitchen a few years ago, nor could the Zestimate tool put an appropriate value on how pristine our view of the waterfront is! And, those “comparable” homes being used to determine the value of my home? Well Zillow certainly couldn’t know that our dock was 10 years newer than the dock next door, or that even though our properties are located right next to one another, our neighbors have an obstructed view of the lake, thanks to a patch of endangered trees running through their backyard. As someone who loves to see the data, I also appreciated you showing me Zillow’s Accuracy Rating report, which I now have a copy of thanks to you! Since we live on Smith Mountain Lake, you pulled up our county (Franklin County, Virginia), and we saw that the area had a Zillow Accuracy Rating was a “2”. Of course, I took that to mean we had the second-best accuracy rating, but then you explained being number two wasn’t necessarily a good thing. What having a “2” rating really meant was that Zillow’s Zestimate was considered “fair” rather than good or best. What it further meant was only 63 percent of Zestimates fell within 10 percent of the actual sales price. That meant more than a THIRD of Zestimates here were off by more than 10 percent! Then you explained the Zillow median error rate in a way I could relate to easily: I imaged all the homes on our street as if they were in a single room, lined up in order from most accurate to least accurate Zestimate. If the median error rate was 7 percent, the middle home would sell for anywhere from $465,000 to $535,000, a range of $70,000. 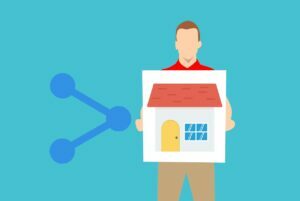 Fortunately, you were sure not to simply pick on Zillow, but instead you showed me the valuations from several sites, so I could see how widely the estimates varied. It was icing on the cake to learn that in 2016 Zillow’s CEO sold his home for 40 percent less than its Zestimate. I don’t think I understood exactly how important it was to work with a lake real estate agent until that moment. I had spoken with two other agents already, but unlike you, neither lived, worked and played in our lake market. Only you were actually a lake resident, had been in many of the houses for sale around us, and were prepared with a ton of local data that the others couldn’t provide. I also appreciated that you didn’t scold me for trusting the Zestimate. You kindly explained that Zillow was a great place to start and that my homework was not in vain. That’s how I knew to trust you and how I knew choosing to work with you was the right choice. I knew you would appropriately price our lake home according to our market, not based on some figure determined by a computer. You are a true lake expert, and I am looking forward to working with you!